80% of dogs over 3 years old have Dental Disease, have those Fangs checked for free! Free Nurse dental checks are available for your Dog – call us on 6652-3455 to organise an appointment. Routine care of your dog should include regular dental checks. Dog owners are encouraged to take a look in their dog’s mouths and inspect their dog’s teeth and gums. Dog’s teeth should be white and free of yellow or brown crust and their gums should be a nice even pink colour. Red or bleeding gums suggest dental disease which is uncomfortable and can be very painful for your dog. Other signs of dental disease include smelly breath, reluctance to eat, recent loss of bodyweight, changes to chewing habits or excessive drooling. What kinds of dental problems do dogs and cats have? Dental disease is as common in dogs and cats as it is in people. The most frequent form of dental disease in humans is decay or cavities. For dogs and cats the most common problem is periodontal disease which is when tartar builds up and causes irritation of the gums around the base of the teeth, a disease which results in inflammation also known as gingivitis. The outcome for your dog or cat is receding gums which exposes the roots and leads to infection and ultimately tooth loss. If tartar is allowed to remain on the teeth, several things may happen. Infection will accumulate in the mouth, resulting in gingivitis, tonsillitis, and pharyngitis (sore throat). Although antibiotics may temporarily suppress the infection, if the tartar is not removed from the teeth, infection will return quickly. Infection within the mouth will be picked up by the blood stream and carried to other parts of the body. Some kidney and heart disease may be caused by this infection. What can caring pet owners do to prevent dental disease? Preventing your pet from developing dental disease is a possible. Keep in mind that most humans brush their teeth twice daily to maintain a healthy smile, brushing your pets teeth also helps to reduce plaque formation and hence tartar accumulation, so getting your dog or cat used to having their teeth brushed regularly (around 4 times a week) is a benefit to their dental health. Feeding your pets Dental Chews such as “Oravet” and Hills Prescription T/D diet are also affective ways of preventing and reducing dental disease and of course like us a regular scale and polish will ensure a healthy mouth. One useful way of getting your pet accustomed to brushing their teeth is to use an old toothbrush dipped in dog’s dinner since feeding time is, after all, the highpoint of the day for your pet. Unlike us, brushing of the outside of the teeth is all that is really required. A dog’s tongue is sufficiently mobile that most of the plaque and in consequence, tartar, is removed from the inside (lingual) surface of the teeth automatically. Once your pet has become accustomed to this procedure it is a simple step to move to the use of special toothpastes which, unlike ours, are meant to be swallowed and are usually meat or malt flavoured. DO NOT USE HUMAN DENTAL PRODUCTS, these are foaming products and are not meant to be swallowed and will be universally resented by dogs and cats. The most common indications of dental disease is smelly breath, red or bleeding gums, yellow-brown crust on teeth, change in chewing or eating habits, weight loss, change in your pets demeanour, abnormal drooling and obvious signs of pain, which may in severe cases result in your pet not wanting to eat . If your pet shows any of these signs they may require professional cleaning of their teeth to restore oral health. What is involved in cleaning my dog or cat’s teeth? Proper cleaning of the teeth requires complete co-operation of the patient so plaque and tartar can be removed properly. For dogs and cats, general anaesthesia is required to thoroughly clean the teeth. Although anaesthesia always carries a degree of risk, the modern drugs in use in practice today minimise this risk, even for older patients. 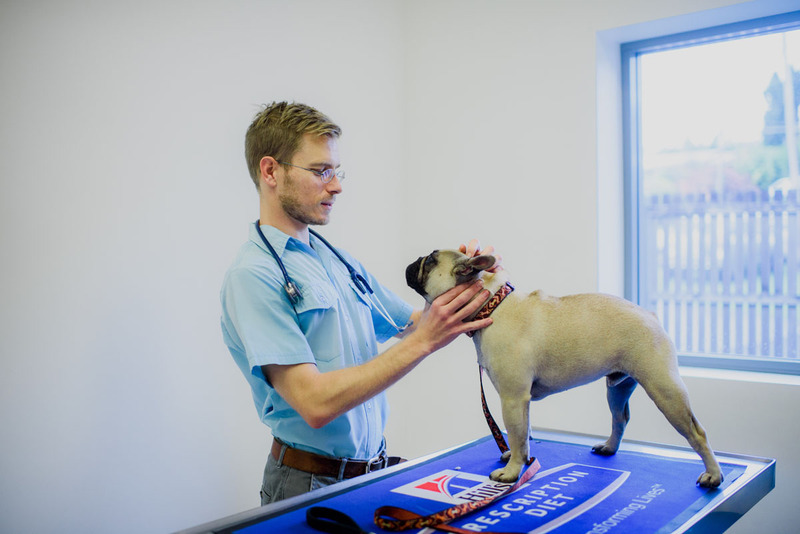 Depending on your dog or cat’s age and general health status, your veterinary surgeon may advise a prior blood test to evaluate liver and kidney function and general health status of the patient. Polishing: makes the surface of the teeth smooth and resistant to additional plaque formation.